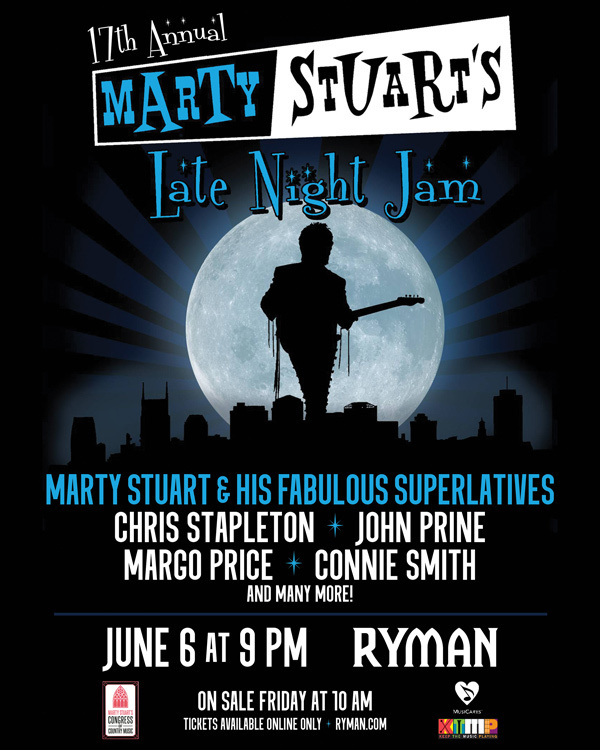 Chris Stapleton to Headline the 2018 Marty Stuart Late Night Jam! 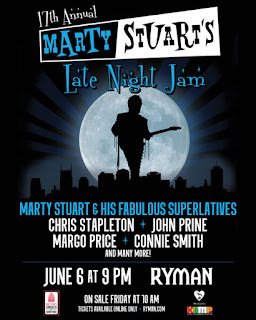 Marty Stuart has announced the lineup for his 17th annual “Late Night Jam!” Stuart and his Fabulous Superlatives will be joined by country music greats Margo Price, John Prine, Connie Smith, Chris Stapleton, Gary Mule Deer, The Grand Ole Opry Squaredancers, and The Wandering Hearts at Nashville’s historic Ryman Auditorium. The show is the traditional unofficial kick-off to the CMA Music Festival and will take place on Wednesday, June 6th at 9 PM. Tickets: On Sale Friday, April 20, 2018 at 10 AM CST / $29.50 - $69.50 Available Here!